Lifelong Staten Islander, loving mother, daughter, sister, granddaughter, aunt, and friend. Cherilyn Farley passed away Thursday, November 29th after a long battle with M.S. In the weeks prior she spent her days surrounded by those who loved her most. 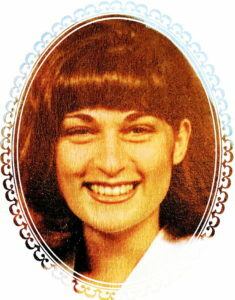 Born on Staten Island, Cherilyn was the daughter of Thomas Farley and Sandra Farley (nee DeGregorio). Cherilyn’s smile could light up a room. She held her opinions with great passion, and she lived her life on her own terms. She changed the lives of others during her time working for “Meals on Wheels,” and St. Vincent’s Hospital (RUMC). Her legacy is carried on by her 4 children: Nicholas, Justin, Victoria, and Samantha. Her memory lives on in her parents, her brother Chad, her two sisters, Corey and Caitlin, and her grandmother Annette DeGregorio. From you’re friend Nick Piazza (from P.S. 30) and his entire family, we send our deepest sympathy & love to you & you’re entire family. Take peace in knowing she is now in a better place & out of any pain & suffering. Always hold in you’re heart how much she loved you all! From you’re friend Nick Piazza (P.S. 30) & my family, we send our deepest sympathies to you & you’re family. At this time of loss, know she is in a better place and free from pain & suffering anymore. May God bless & keep you all in his love. Deepest sympathies to the Farley family. We are so sorry for your loss. Cherilyn may have passed but her memory lives on forever. Condolences from the Evans family. I would like to offer my condolences to all of you during this tough time, which is the death of Ms.Cherilyn. Loosing a loved one is really heart breaking. Since throughout many years a bond had been formed with them and their absence than leaves a huge whole in our hearts. Weariness is actively present in remembrance of our loved ones. Nevertheless, did you that in the Bible God offers us hope. In Revelation 21:4 it says “And he will wipe out every tear from their eyes, and death will be no more, neither will mourning nor outcry nor pain be anymore. The former things have passed away.” This shows how Jehovah God promises each and everyone of us that in near future we will see our loved ones again and get to spend time with them. But this time without any suffering. Imagine how great it would be when we can run towards our loved ones and hug them and be with them once more. It would be incredible and indescriptible. jw.org where theres free information with no cost.